As a result of developments in biotechnology, bioengineering, and related sciences, processing of bio-materials and bioproducts has become an area of strategic importance. 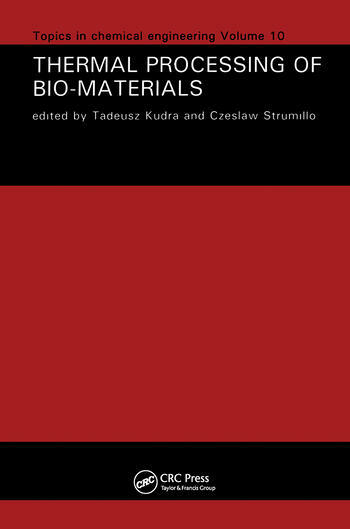 Written in a textbook style, this book attempts to bring together both the theory and practice of thermal processing of bio-materials. After giving the basic information on material properties, the authors describe the principal techniques such as freezing, chilling, membrane concentration, evaporation, drying, and sterilization. New methods of drying based on the authors' research experiences are presented to a great extent. Much attention is paid to quality interactions, including degradation of thermo and xerolabile bio- products. Given the strong effect of temperature on micro-organisms, a separate chapter is dedicated to thermobacteriology.